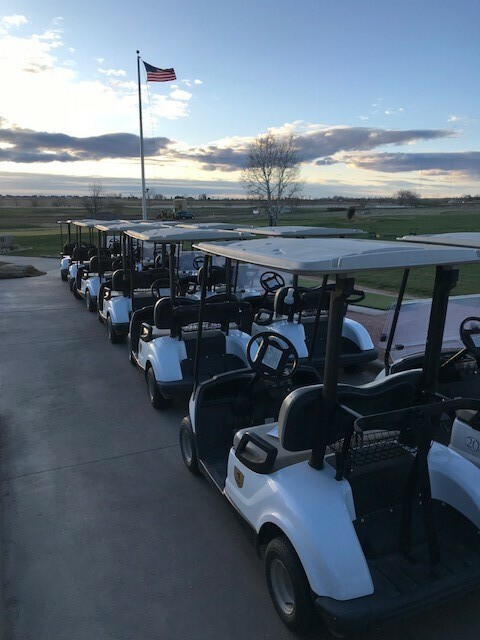 2019 Golf Outings at Bella Rosa Golf Course! Let our experienced staff handle your golf outing from start to finish! We can host 10 players up to a full golf course! Our golf packages include green fees, carts, range balls and food packages from a box lunch to BBQ Pork. We will create professional, printed cart tags, score cards and conduct scoring after play is completed. Looking for additional prizes for your outing? Choose from our well-stocked golf shop with Oakley, Adidas, Antigua and Travis Mathew apparel. Please click HERE to view our 2019 Golf Outing Packet. Please contact Tim Schwartz, Head Golf Professional for details or to book a date at 303-678-2940 or email: tschwartz@frederickco.gov.